If you have been following our site for a while you have probably noticed several of our custom basses featuring a Mike Pope 4 band preamp – I love this preamp! 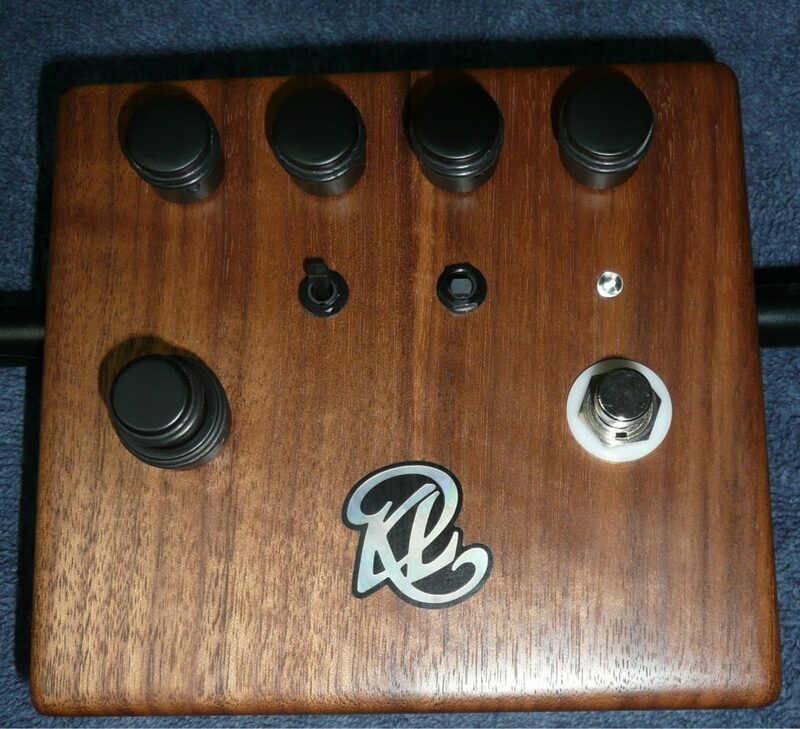 About 10 years ago we asked Mike to make some custom 4 band versions, based on his well known 3 band preamp. The two mid range bands made a world of difference andI have been using them since. Thank you Mike! You have no doubt seen several Kenneth Lawrence basses here over the years. He is of the very best bass builders I know and I cannot honestly name any builder I feel is more talented. Here we have a unique meeting of the worlds, a Mike Pope 4 band preamp housed in a foot / desk top case that was made by Ken Lawrence. With this box, players are able to taste the mighty Pope 4 band before committing to installing it on their current or future custom bass. I can tell you that this little box has opened many an ear.